depends on how you define inefficient. LRM10's are inefficient in terms of weight vs damage. but the LRM15 is inefficient in terms of weight vs ammo capacity. Surely it's 120 points of damage per ton either way? The LRM 5 is better at weight but the LRM 15 is better with heat. The LRM 10 is worse on weight and heat. The LRM 20 has i think the best value for heat but is not good with weight. And with size. The LRM 20 is the worst in terms of size vs. tube count, being the only launcher using 5 crits for a tube count of 20, where all other LRM launcher sizes would need 4 crits to have 20 tubes. If all statistic factors that are different between the 4 LRM launcher sizes - weight, size, heat, damage - are taken into account, the LRM 15 is indeed the most efficient of the bunch. Next would be the LRM 5 since it shares the crit space and damage values of the LRM 15, but is a little better in damage for tonnage and a little worse in damage for heat. In 3rd place we have the LRM 20, which is the most heat efficient and the only one even able to force a PSR on it's own, but the least efficient in terms of crit space. And on last place the LRM 10, which has the exact same damage/damage for tonnage values as the 20 and is less heat efficient, with the only advantage over the LRM 20 being that it is more crit space efficient. Compared to the LRM 5 and 15, the LRM 10 and 20 are also less weight/damage efficient. Now, if you throw in an Artemis system, this changes quite a few things... suddenly the LRM 5 is probably the worst of the bunch, with the LRM 10 only a little better, because of the crit/tonnage requirement for the Artemis IV(and even more so for the Artemis V). Only the LRM 15 and 20 are actually worth using Artemis systems with, and even here the LRM 15 seems to be the most efficient overall. This is all just my humble opinion of course. Humble but logical. Sorry to be late to the party. Great seeing you post another article, JadeHellbringer, with your usual flash of insight. I always pictured way FASA was originally bring these things out in for the first printing of TRO:3055 that Mech was intended to be teamed up with the Hercules. It's long-range fire support, while Hercules handles the body guard and medium-short range engagements. Maybe not as super teamed as Hammer & Anvil, but i thought they were in way partners by design. 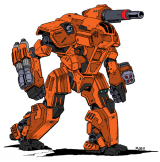 The Hercules is a heavy cavalry 'Mech (5/8 movement! ), not really something i'd pair with the Apollo. The Herc and Trebuchet? Sure. Or the Herc, Anvil and Hammer? Yeah why not. Not sure what FASA was thinking with the Apollo, but then again thinking about many many FASA 'Mechs, i suspect they weren't really thinking. The fluff says it all. "Mini-Archer." From a In-Character perspective, it makes sense. If you can get Archer performance out of a design that's 15-20 tons lighter than the original, you're in theory saving money, and probably support costs as well (some of which will be eaten up by advanced tech costs, but the Apollo doesn't have much of that, just the SPL, AIV and DHS). This was also designed in an era when tech was advancing and the Clans were a major threat, and its sort of stands to reason that Medium Mechs can be produced faster than Heavy Mechs (or atleast seems so). So you've got a design that can offer similar output to the Archer (LRM15+AIV compared to LRM20), can keep up with it, costs less (about 2 million c-bills less), and can theoretically be produced faster, or atleast with less resources. Its not that dumb of a idea from an IC point of view. Apollo and 2 Tempests with support from an Orion or Hunchback (depending on terrain) is my go to Marik lance. And funny you could really do that using straight succession wars tech too. Replace the small pulse lasers with mediums and then the artemis with either the additional ammo, extra medium lasers (bonus points for rear facing only due ot he archer), or my personal favorite jump jets (might as well get a maneuverability boost over the archer, use archer for throw weight and the appolo to get to places). And funny you could really do that using straight succession wars tech too. This is arguably my major issue with the Apollo. That it is logistically simple is a big bonus and a reason i kind of like the unit. But barely enough is done with to justify using even Star League tech. Slap ferro-fibrous and CASE there and it feels more modern and tougher, while still being relatively simple. But, it could be worse. It could be one of those weird less than ideal FWL 'Mechs, or Kuritan or early Davion heat sink screw-ups (think the Panther or Davion Cataphract). And there's a degree of sensibility in the Apollo, despite using limited amounts of advanced tech or perhaps because of it. It is simple enough maintenance isn't a problem for less trained techs. Loss of Artemis to battle damage isn't a major issue and can be replaced with something else as a field modification if need arises, while functioning Artemis is reasonably beneficial. As advanced tech proliferates, double heat sinks become common and replacement is easy, they also can be replaced with single heat sinks if need arises in Dropship transport bay (class D maintenance refit), like if a more important 'Mech needs replacement DHS, and if not the 'Mech is effectively immune to high temperatures or external heat. And i suppose the small pulse lasers make sense too, as they discourage the pilot from going into close combat with missile armed 'Mech on the account of their pitiful range. Yet if an enemy comes close, the pilot can just slap "fire pulse lasers button" without regard for careful aiming, useful for lesser skilled or panicked pilots perhaps, not that this discourages the enemy from closing in really. Battle value-wise, about 1200 BV for some fire-support is pretty good. For contrast, the Succession Wars era Archer is 1350 BV for not much more direct firepower, and Trebuchet is only slightly cheaper than at 1190 the Apollo in exchange for lower endurance but greater speed. And the post-Helm versions cost 1350 BV for the Trebuchet 7M that offers greater mobility and Narc but still weak endurance (now exacerbated by XL engine), while the 4M Archer costs 1700 BV for Artemis IV and some armor and CASE. What other options there are? The Catapult is more expensive at about 1400 BV (and not too common in the FWL), and it takes quite a while before modernized non-Arrow IV Catapult appears (Catapult CPLT-C4C appears in '55 but is evidently Davion exclusive at that point until the Operation Guerrero and Cappies regaining the manufacturing plant). 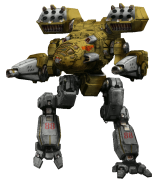 The Dervish (about 1150) trades away long-range firepower and armor for short range firepower and speed, and its modernization (1400) (also Davion exclusive) doesn't change this but becomes more expensive. The Whitworth (980) is smaller, less durable and less powerful, and its "modernization" (930) is truly awful. While not designed with BV in mind, the Apollo looks pretty good in that department, if you don't need special capabilities. If the designers were willing to play with the design to make cheaper LRM units you can a 3/5/3 with only 1/2 ton less armor but with 2 LRM20s with 4 tons of ammo and 2 medium lasers. I'd expect a medium 'Mech with 2xLRM-20s to use XL engine and possibly endo-steel (indeed that'd allow even adding Artemis), 3/5 movement is too slow for a medium, 4/6 is already pretty bad but acceptable if the Apollo is to be a lighter replacement for formations that usually use Archers. Yes, jump jets compensate the weak mobility, but that'd force reliance on them, and affects accuracy negatively. I also question the worth of cramming 2xLRM-20s into a medium. LRM-15 with Artemis IV has reasonably good chance of dealing as much damage as LRM-20 does, though admittedly indirect fire suffers. But you really don't want to do indirect fire after a jump either. Considering battle value, using 3/5/3 movement with LRM-20s is not really a positive. Would cost about 100 BV more for little increase in true capability. If maneuverability is needed, then one might as well pick the existing Trebuchet 7M, despite its shortcomings. I will admit that i'm biased against jumping though. I don't mind it as an option, but i prefer not have to rely on it. Interestingly, considering this, i notice that there seems to be a niche that isn't really filled (between 3000-3067): a medium LRM fire-support 'Mech with mobility and "long" endurance. There's the Cobra (5/8 with LRM-15s with two tons ammo each) though it lacks jump jets and armor. The aforementioned Dervish and Whitworth offer mobility but not so much endurance. The Davion Hellspawn is very similar to the Dervish. The Trebuchet lacks endurance as noted. The Huron Warrior has a variant that is similar to the Cobra but more durable (with stealth armor) though has no jump capability. Some others but they tend to lack firepower. Of course, the requirements are a lot to ask from a medium design. 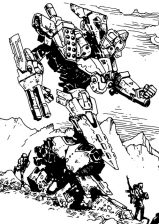 Of course, there's really no other 'Mech like the Apollo either, medium endurance-oriented missile fire support. In that sense it has secured a good niche for itself, no wonder the Lyrans were interested. 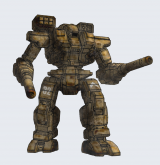 If your only goal is a cheap mech, just slap a LRM on a Urbie. Cheap isn't always the sole requirement, nor necessarily particularly useful, since there's usually a maximum capacity that can be transported, piloted, maintained or whatever else. Plus price is irrelevant if capabilities aren't good enough to make any use of the thing. Slapping a LRM-20 to an Urbie may make for a cheap fire support unit but one that dies fast when attacked, and its mobility makes it useless in anywhere but cities or static defenses. No front-line commander is gonna want their unit equipped with those. Cheap's good when you need something ASAP, if it also means it can be produced fast. 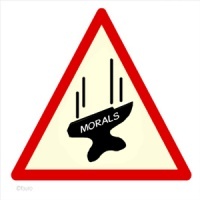 Like emergency replacements. One reason the RetroMechs appeared during the Jihad. In this sense the Apollo has balanced capability and cost pretty well, i think. Effective enough for even front-line if not perhaps first-class units, cheap and simple enough to suit militia units. The Apollo is a good example of effective, simple, and low key Marik design. The dual medium laser variant makes it a slower version of the Trebuchet, it has a comparatively low BV, is fairly inexpensive, and does the job it is supposed to. You could easily team it with all number of LRM support units in a fire lance, and it would work fine. Tap in Longbows, Archers, Trebuchets, Centurions, Catapults, Shadow Hawks, Grifins (other then the hot mess that is the 5M) and so on, and you can rain missiles down all day. And in the end, isn't that what being a Marik player is all about? Maybe we're missing something important. The FWL didn't face the Clans when this was introduced, and they weren't actively fighting the Lyrans or Capellans. 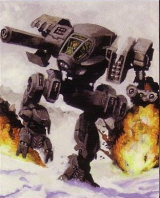 I look at this thing and think this would be a great unit for planetary militias. It's not fast? OK. It's placed around strongholds and choke points to drop LRMs on advancing forces. It's not using recovered Star League tech? OK. It's cheap so it won't break your planet's defense budget. Lack of SLDF tech also means that it's going to be easy to repair and maintain, even for the militia. "But mbear, there is SLDF tech! Look at the Artemis!" Someone pointed out that it could easily be made with Succession Wars technology. Maybe it was, originally. Intended to be a replacement for or supplement to the Trebuchet or Archer, and then Artemis and Pulse lasers became available. So the designers slapped them on the chassis. Voila, you have a "new" 'Mech that was ready for production using existing infrastructure. That said, it's absolutely a slower non-jumping Dervish. So I'll name it...Norm. Yes. That's a nice bland name for a nice bland 'Mech that just does its job and goes home. I will echo that I am disappointed that a MML variant never showed up. A Pair of MML 9's and some FF armor and you have a very versatile unit for a militia group. I also wonder if this wasn't a unit created almost solely for export. Given the time frame, they were selling to the AFFS and DCMS who were raining cash on the FWL just to keep the Clans at bay. Cheap, easy to maintain, and quick to produce, these could be mass marketed to the front to replace losses and we know at the time the quartermasters were not being picky. The sale pitch almost writes itself. "Hey look, it's like an archer! The Artemis gives it the same hit rate while being lighter and cheaper. Buy a lance and not only get the same effectiveness, but your tech team will thank you to!" Add to that, that if I am selling something that may one day be eventually turned back on me, I am not selling you all the whistles and bells. the export angle probably has some legs. on the MUL the -1M damn near qualifies as IS General. iirc the Falcon Hawk was similar in that way. The fluff for the Cobra specifically says the AFFC and LAAF were banned from purchasing the Apollo (thus the Cobra's existence to begin with). 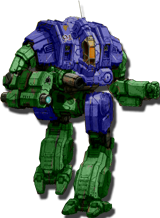 Why THIS particular Mech was banned from export but other Mechs from the era like the Tempest, Albatross, and Hammer didn't have such a restriction is beyond me, but Apollos didn't end up going to either of those powers other than (presumably) the occasional salvaged example. Whether mercenary units affiliated with either FedCom half were similarly banned or not is anyone's guess. It's an odd choice, even if their rationale makes sense following Joshua's death and the subterfuge attempt that followed. I wouldn't want to help someone who had done that to me either- you may not have KILLED my son directly, but the attempt at covering his passing up (comically inept as it was) would infuriate me as well into letting Victor and his nation deal with the Clans without my input of advanced weaponry. But why THIS particular design, with its total lack of any special capabilities and obvious export-friendly setup, was banned from sale is a very perplexing question. Perhaps the Tempest etc. weren't in real demand by the FedCom, but a simple cheap fire-support platform like the Apollo was? Seems likely to me that the FedCom would be utilizing their own designs over FWL designs in most cases, but they lacked a Apollo-like design prior the Cobra (as i note, the Dervish and Hellspawn have lower missile firepower for example). EDIT Uh, i assume the export restriction came into force after the FWL had already sold Apollos to the FedCom? MUL Shows it as available to Lyrans and FedSuns. Might be a bigger picture thing. Thomas had to respond to the whole Joshua thing, but his realm's exports of tech to the FedCom was a big part of the antispinward half the of the Inner Sphere's defense against the Clans. For all he knew, those exports were helping keep the Wolves and Jade Falcons on the Lyran border, as opposed to his own. So he restricts some mechs to punish the FedCom for the subterfuge, but keeps other exports going in order to maintain the strength of the Clan border. I'm disappointed there no MRM version of the Apollo armed with Apollo FCS. I suppose it's also possible that as the FCCW got going the restrictions were relaxed and Apollos began flowing again. Interesting that a cheap, simple fire support unit though wasn't given a lot of new tricks during/after the Jihad, and seems to be out of production from what I can tell. You'd think with all the assorted factions fighting in the FWL and next door in the Republic that this would sell to armies like crazy (particularly judging from the apparently-brisk sales of the Arbalest!). The fluff says it all. "Mini-Archer." Given my druthers, I'd rather take a Blackjack Omni A model. That's a Mini-Archer to me. Okay, 200XL vs 220 SFE. Comments made above regarding militia use probably make a lot of in-universe sense. You also have to consider ramp up time. It was about 3052 that the Outreach Accords happened and the FWL agreed to sell to the FC. If they went straight home and started designing, it makes sense that the Apollo would be one of the first units off the drawing board to fill damages TOE's and keep the Steiner's and the Kuritan's in the game. Remember that Operation GUERRERO wasn't until the fall of 3057. And no one really saw that coming. It makes sense that the FC would get hooked on it, than "the incident" happened, and the Marik's would not sell to Victor, nor to their historic adversaries the new LA...who seemed to like it enough to attempt their own. The FWL wasn't exporting the Tempest or Albatross in the first place. Both were intended for domestic use only and the Albatross in particular was flagged for elite units like the Knights of the Inner Sphere. Thomas could hardly stop the export of mechs he wasn't exporting to begin with. If you only need two walking LRM15s in the backfield, and really how often do you need anything else, the Apollo is it (barring the 3). It's a simplicity of design and purpose which can be very effective if used wisely. I also like how there's a clear theme of improvements with the variants. I would have liked an Apollo 4 of some kind with an X/LFE and more missiles. Exactly that. You want fancy tricks and speed, take a Trebuchet. You want heavy backup guns and armor, spring for a Crusader or Archer. If all you need is a solid platform to deliver ze missiles, bring an Apollo. Or three. If all you need is a solid missile platform and you've got oodles of cash, pester the Diamond Sharks for a Kraken 3. If all you need is a solid missile platform and you've got oodles of cash, pester the Diamond Sharks for a Kraken 3. Yes, the 'blot out the sun' approach.